The Food and Agriculture Organization (FAO) has approved a US$7 million technical agreement grant to support a five-year development plan for the local dairy sector. Agriculture and Fisheries Minister, Hon. Roger Clarke informed that the five-year plan will include improvement in breed and pasture management. It is among a number of initiatives to resuscitate the country’s dairy industry. 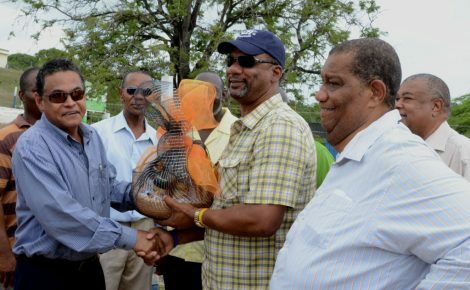 Mr. Clarke made the announcement, while addressing Sunday’s (August 4) opening of the 61st Denbigh Agricultural, Industrial and Food Show at the Denbigh Showground in May Pen, Clarendon. Among the initiatives to revitalise the industry is the offer of concessionary loans to dairy farmers for animal acquisition and path to development plan. The loans are available at an interest rate of five per cent; with a loan ceiling of $2.5 million to individuals, and $5 million for corporate entities. The Agriculture Minister informed that to date, 53 individual farmers and corporate entities have taken up loans totaling $84.5 million. The reintroduction of a herd recording programme to assist dairy farmers in making objective management decisions, is also part of efforts to improve the sector. The programme aims to aid the genetic evaluation of local dairy cattle to enable the identification of animals with high yielding potential. 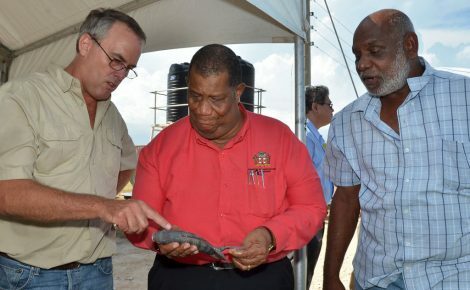 Mr. Clarke further informed that the Ministry has purchased and leased to farmers, with the option to purchase, five four-edge choppers with the objective to improve the efficiency of the use of harvested fodder. He said the Ministry will also provide assistance to farmers to alleviate the adverse impact of recent drought conditions, making available to farmers high yielding and nutritive fodder species to enhance milk production. “We will also be embarking on a collaborative effort with research and development in making conserve fodder available to dairy farmers in areas prone to drought to mitigate the adverse impact of the drought on animal production and productivity,” he stated. 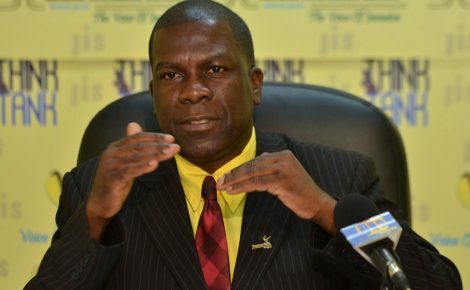 Meanwhile, Minister Clarke commended the Jamaica Dairy Development Board for its hard work and dedication and its continued efforts to revive the industry. “I am very pleased that we are beginning to see renewed interest in beef cattle production. In fact, there has been a slight increase in beef production, up from 2010 to 2012,” he remarked. He noted that it was also essential to address the issue of nutrition, both of dairy and beef cattle in a targeted and coordinated manner. To this end, he said the Ministry is developing and implementing an action plan to increase silage and hay production. “The availability of cattle feed on a year round basis and especially in times of drought is essential to maximise the nutrition of the animals and their ability to produce the desired levels of milk and meat,” Mr. Clarke said. “We are going to grow grass like we are growing crops, so that you can reap it and store it. So that when dry weather comes you don’t have to go and buy bag feed. You can get local, indigenous feeds to feed your animals to make you more competitive,” he added. He informed that through the Agro-parks programme, the Minister is in the process of planting sorghum and increasing the production of hay to ensure that locally produced cattle feed is consistently available. The Ministry is also in the process of initiating a cattle surveillance pilot project to reduce the impact of cattle theft.